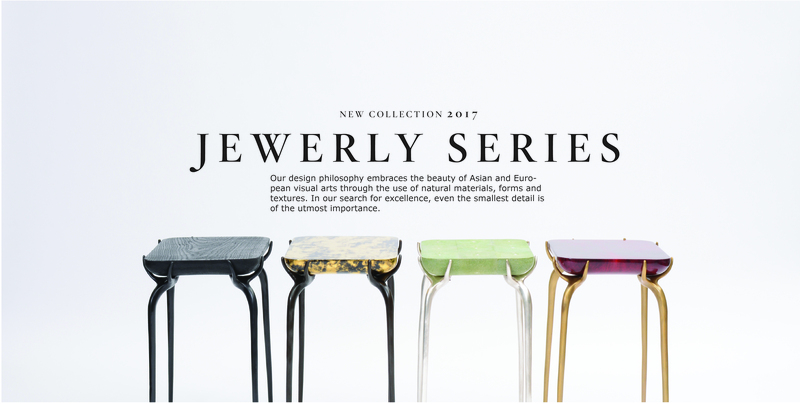 THE MUSE design philosophy embraces the beauty of Asian and European visual arts, expressed through the innovative use of natural materials, forms and textures. In the designers' consistent quest for excellence, even the smallest detail is of the utmost importance. Passion is a hallmark of the MUSE design team, and is key to its continued success.The designers put their heart and intuition into their work, from start to finish. They start by making a pencil sketch of a design, then pass it to a production technician for review. For the studio team, research and development is integralto their daily work. They believe that constant learnign and investigation will lead them to create the very best products for their clients. The upkeep of R&D into product types, components, materials is important to the team. ‘Made by hand’ is one of MUSE’s long-upheld philosophies. Inspired by the Art Deco period, the designers use old-fashioned, handcrafted processes which render the most beautiful aesthetic results. In bronze production, for instance, the studio designer sculpts a wax model by hand without using a machine or computer; the piece is also cast and finished manually. The same is true for the materials used. Whether shagreen, parchment, gilding or lacquer, the chosen materials are handcrafted, which makes every piece that is produced truly unique.